What is it? New from the ground up and with an impressive range of styling, engineering, technology and performance the long awaited fourth generation Mondeo finally arrives in Ireland. 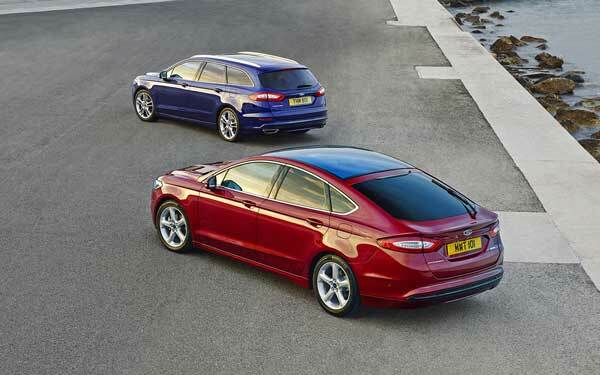 First impressions of the new Ford Mondeo? 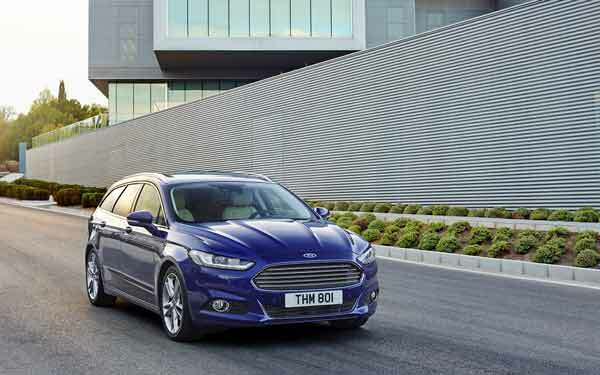 The new Mondeo is certainly a great looking car – the aggressive front end really sets it off and the sharp body lines give it a sleek and premium feel. 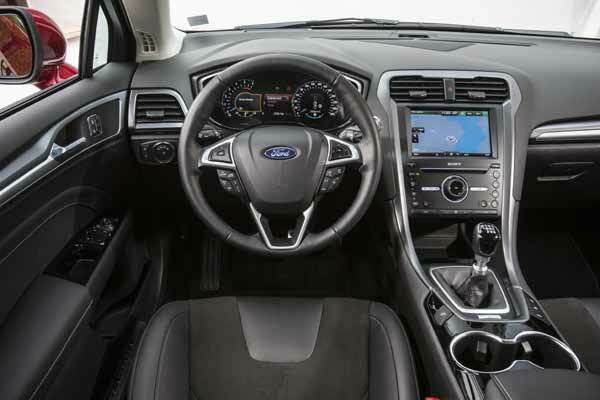 What about the interior? The new suspension design has reduced road noise along with increased sound deadening to block out tyre and wind noise. Thinner seat backs in the front ensure there’s plenty of room for adults in the rear and SYNC 2 allows for voice control of the Sat Nav, Radio, Phone and A/C. 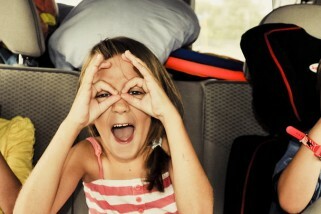 And on the road? 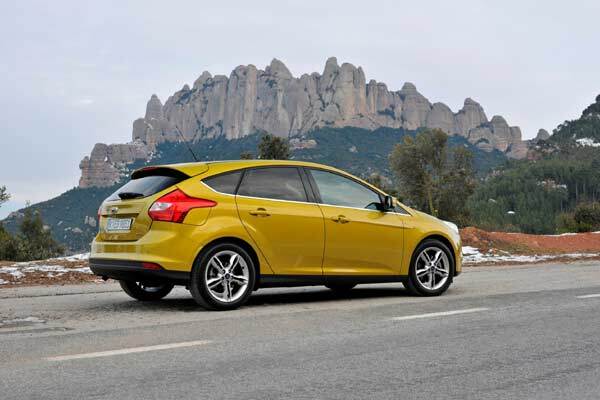 We tested 3 models in Spain – first up was the 180bhp 2.0L diesel hatchback, followed by a 1.5 Ecoboost 160bhp estate and finally the 2.0l Petrol Hybrid 4 door model. 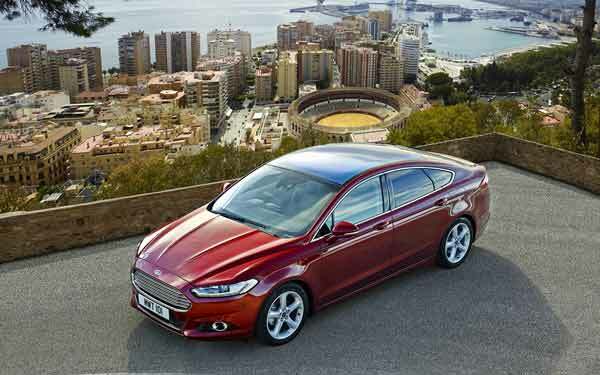 Lighter than its predecessor by an average of 20kg the Mondeo has been strengthened and stiffened. 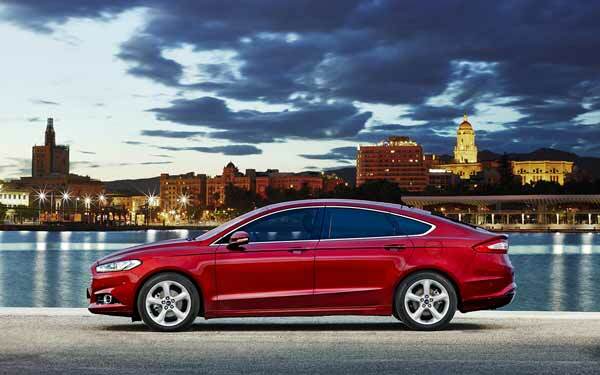 Ford Mondeo and the City? The 4 door hybrid option will make a very interesting city car for anyone who wants to help the environment and save on fuel bills while still having a spacious saloon with a high end look and feel. If parking isn’t your strong point Active Park Assist will get you both in and out of spaces (parallel and perpendicular). 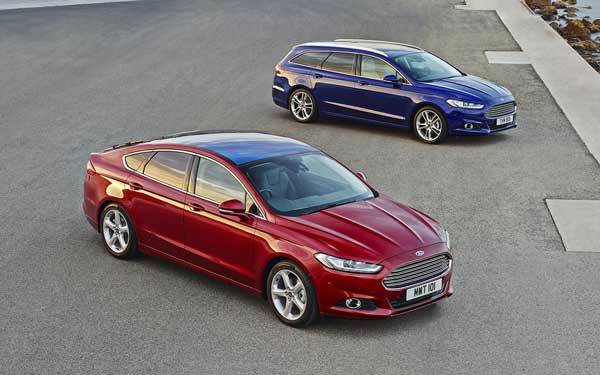 Ford Mondeo and the open road? The new Mondeo is surprisingly agile for its size. Adjustments to the suspension have really improved driving dynamics and on windy roads it feels sporty without being harsh – this is due to the use of Integral Link Suspension which retains lateral stiffness to enhance steering and handling at higher speeds while reducing the impact of bumps inside the cabin because the rear wheels move backwards on impact. How much? Coming in at €28,995 a vast range of engines, trims and options will be offered in 2015. Full pricing below. How safe? The new Mondeo will be available with inflatable rear seatbelts (€200 option) which expand in the event of a crash, like an airbag, to spread the force of the impact across a wider area to reduce injury. Adaptive LED headlamps improve night driving by adjusting to suit the driving environment depending on speed, light conditions, steering, distance from vehicle in front and wiper speed. Pre-collision assist with Pedestrian Detection will automatically apply the brakes if it detects a collision and the driver doesn’t respond to warning signals. This operates using a camera mounted on the windscreen and radar in the bumper while Active city stop will kick in at speeds less than 40km/h to avoid collisions with the vehicle in front. What about my options? Zetec will come with 16” alloys, front fogs, cruise control, leather steering wheel & gear knob, electric windows all round, auto start stop and daytime running lights. The Titanium upgrade will get you 17” alloys, auto lights & wipers, electric folding mirrors, parking sensors front & rear, Lane keeping aid, Sync 2 8” touchscreen with voice control and Traffic Sign Recognition. From mid-January an entry level “Style” spec will also be available. Engine choice at launch will be limited to a 1.6 (115PS) or 2.0 (150PS) diesel. 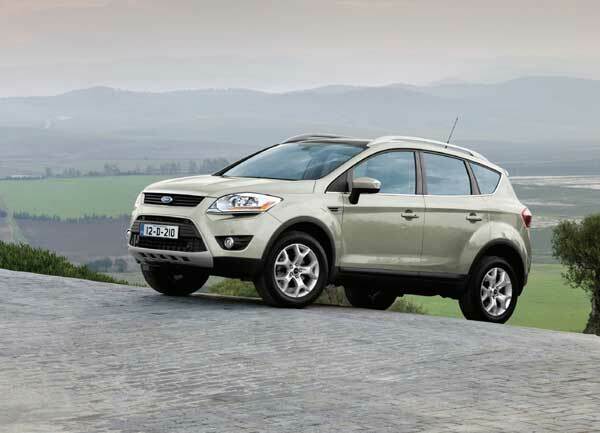 From 2015 this range will be expanded to include the 1.5 160PS Petrol Ecoboost engine and a 1.0L 125PS Ecoboost engine which should be a great opportunity for petrol engines to make a comeback in this segment which has been dominated by diesel (95%) in recent years. The hybrid will also be available from 2015 and a four wheel drive diesel will be arriving in the second quarter. 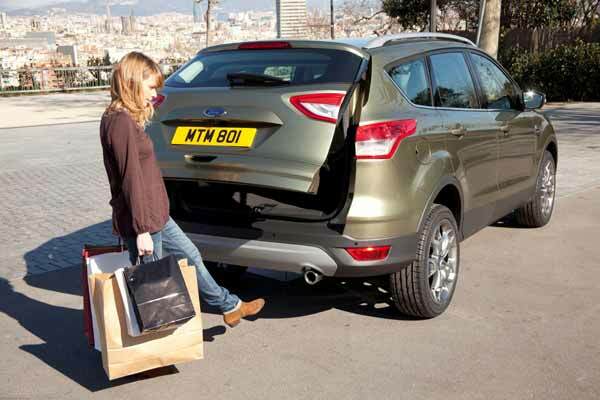 For more information on the new Focus check out Ford.ie the Ford Ireland Facebook page or the video below.